Playgrounds are an important part of every childhood. It’s a great opportunity for kids and parents alike to get off the couch and out into the sunshine while exploring and creating new adventures. Best of all, playgrounds are probably the best free entertainment you can find. Let the kids enjoy themselves (and find your own inner child) at these 10 best playgrounds in South Carolina. This airplane-themed park is sure to dazzle and delight kids and adults alike. Situated next to Greenville downtown airport, kids can play while they watch planes take off from the runway or make a daring landing. There's also a little cafe right next to the playground, so you can plan to have lunch and spend the day playing. This pristine park is one of Charleston crown jewels. The park features multiple play structures in like-new condition, one of which is designed to resemble a miniature cruise liner like the ones you'll see just a stone's throw from the playground. The playground and surrounding park are all well maintained, making it an enjoyable spot to play or relax. This mega wooden castle-like structure has plenty of twists and turns to keep your young princes and princesses entertained. With swings, slides, climbing structures, and so much more, you'll want to bring a picnic lunch and while away the day here. There's also a nearby duck pond where kids can get a glimpse of natural wildlife. As Myrtle Beach's only ADA-friendly playground, this space offers a rare treat for all. Children with disabilities can enjoy themselves on equipment designed for them. 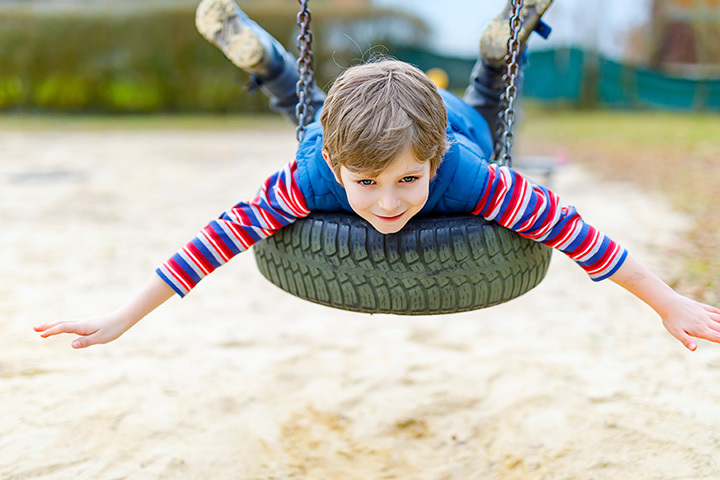 The play equipment is surrounded by soft rubber matting, to minimize scrapes and bruising. Of course, all are welcome at this wonderful park. Century Park is a hub of recreational activity, but kids and parents love coming here in particular to play at kids planet. Free and open to the public, the sprawling playground has no shortage of things to climb on, swing on, or otherwise entertain. They also have pavilion rentals available for those who want to include the playground in their next big family event. This beautiful fairytale wonder of a park features a playground and so much more. The play structure itself is surrounded by trees that offer shade and privacy. Throughout the park, children can enjoy the variety of structures, sculptures, beautiful gardens, a pond, and other hidden gems. With multiple towers of fun, this playground is just as much for kids as it is for their parents. Multiple slides, bridges, and climbing structures comprise this kid-approved playground. Surrounded by a well-maintained natural setting, the area offers plenty of shade and even nearby picnic pavilions. This nature-inspired playground pictures of real life treehouse, a dream come true for any kid. There are tons of other play centers here that can create hours of fun. Plus, the charming shops and restaurants of Hilton Head Island are just a short walk away, so adults can treat themselves, too. The small neighborhood park is a quiet place for parents to take their kids of all ages. The park also offers grassy areas for play away from the playground, as well as sculptures, benches, walkways, and picnic shelters. The park is fenced in by hedges and iron fencing to offer safety and privacy. Located in one of the most beautiful parks in Florence, Timrod Park offers an ideal balance of play time and adventure. The play structure itself is in great condition and will keep your kids on their feet and in action for hours. But should the playground lose its sparkle, rest assured you can find a more fun among the nature trails, rain gardens, and the train. The park is also home to a little free library, so pick up a new read and leave an old one behind.